Hypoallergenic and good alternative to milk (whey), egg white and pea based protein sources. 98% protein (unflavoured) with virtually no fat or carbohydrates. Complete source of protein containing all essential amino acids needed for muscle repair and development. Amino acid profile represents beef and resembles human muscle tissue. Mixes easily and has a neutral flavour (Double Chocolate flavour tastes great). Easily digested with a medium to fast digestion speed. Doesn't need cooking or preparation so it's incredibly convenient and economical. High in naturally occurring collagen which has a raft of benefits. Promotes growth and recovery of lean muscle. 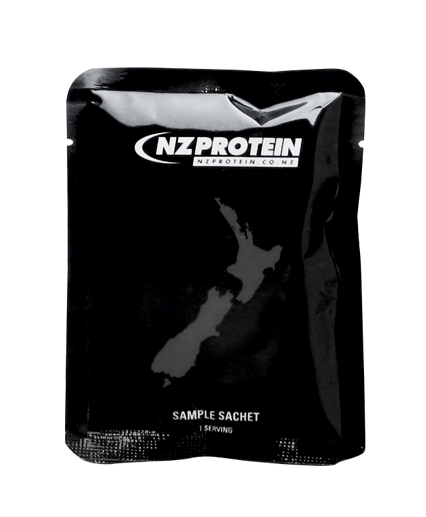 Beef protein isolate is not instantised but it still mixes easily in water, milk, or your favourite liquid without lumps. It can be mixed in a handshaker or with a spoon. (Remember that it's always best practise to add the liquid before the powder). Each sachet contains one serving (31.25g). Add the entire sachet to ~200ml of water or milk in a shaker. We recommend mixing it with less water/milk than you'd traditionally mix whey with as this will give it a creamier texture. For more information on the beef click here.